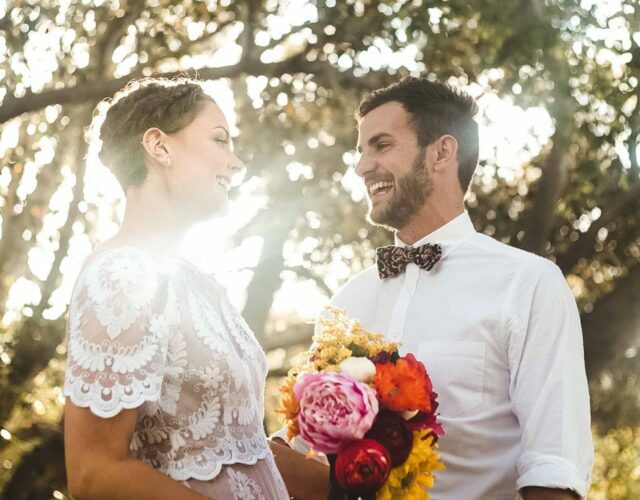 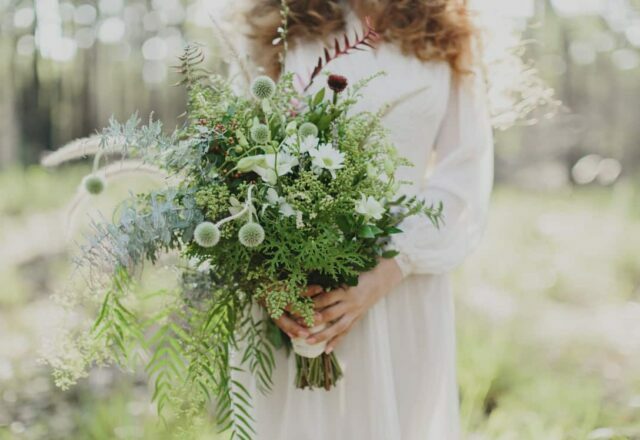 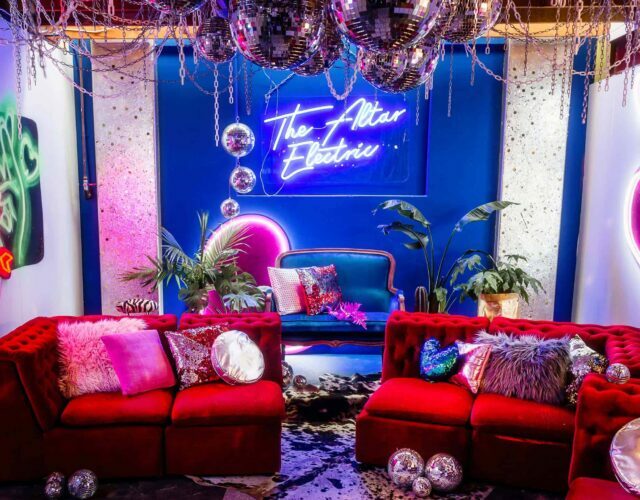 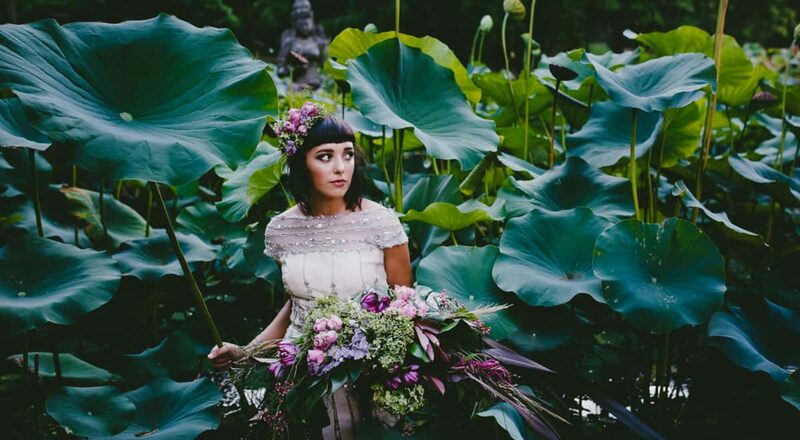 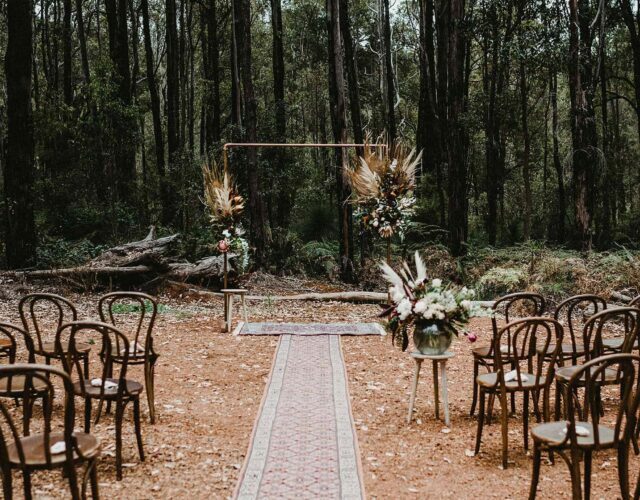 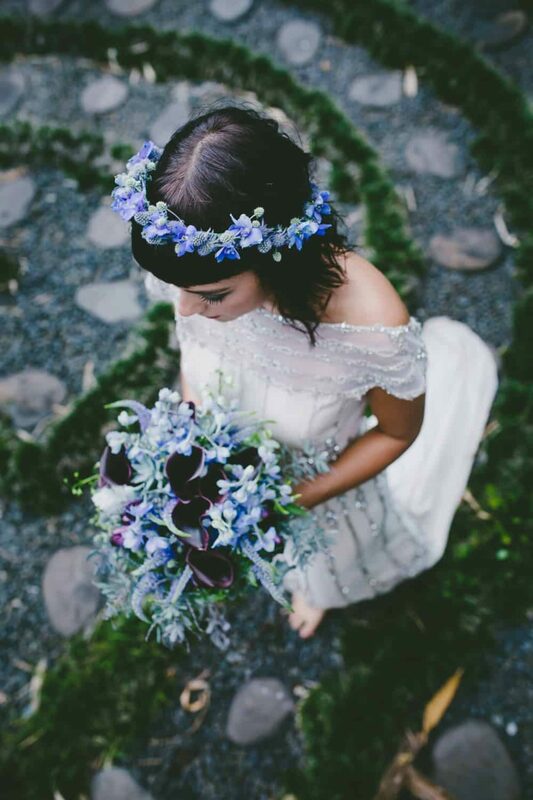 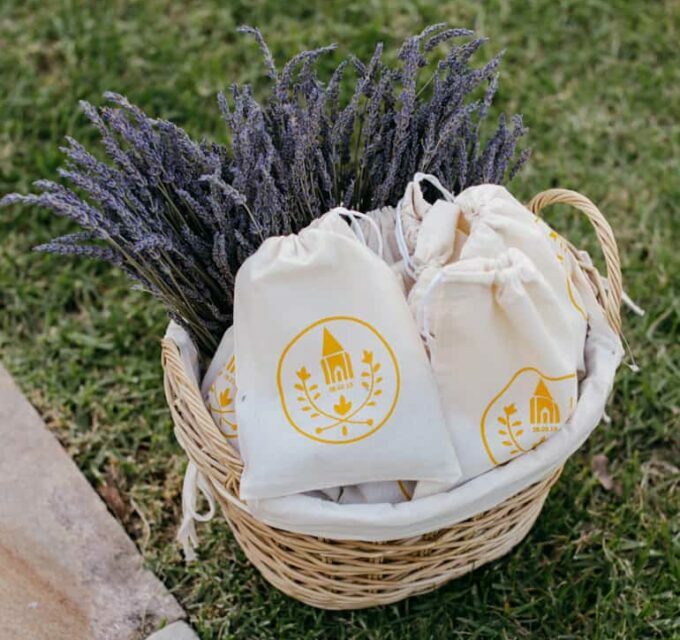 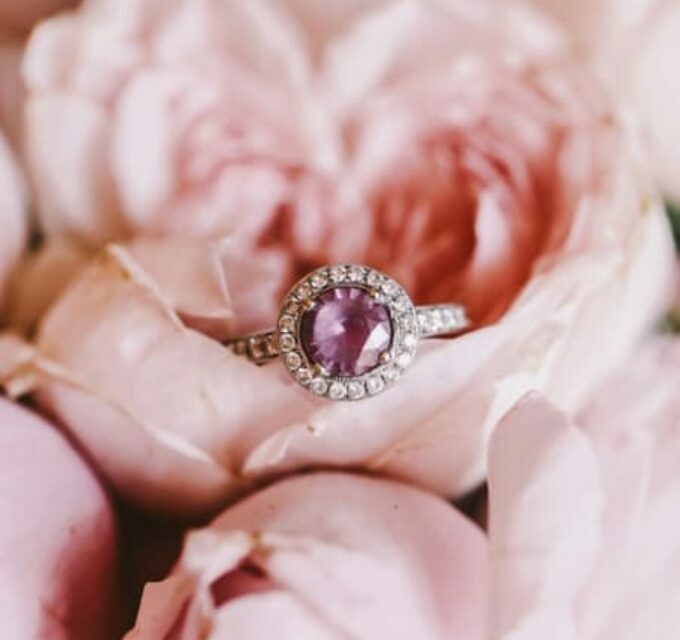 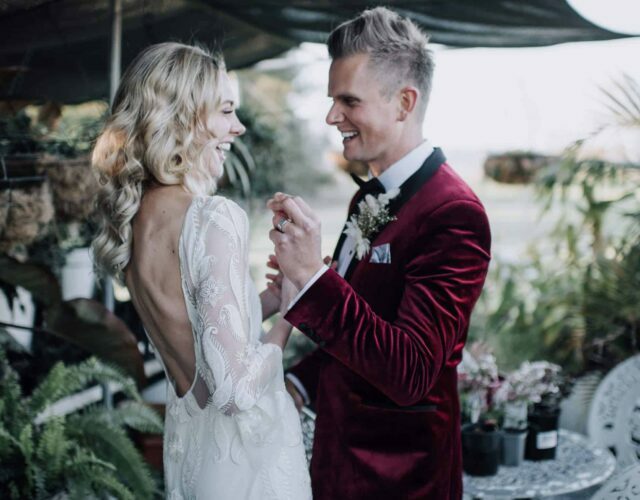 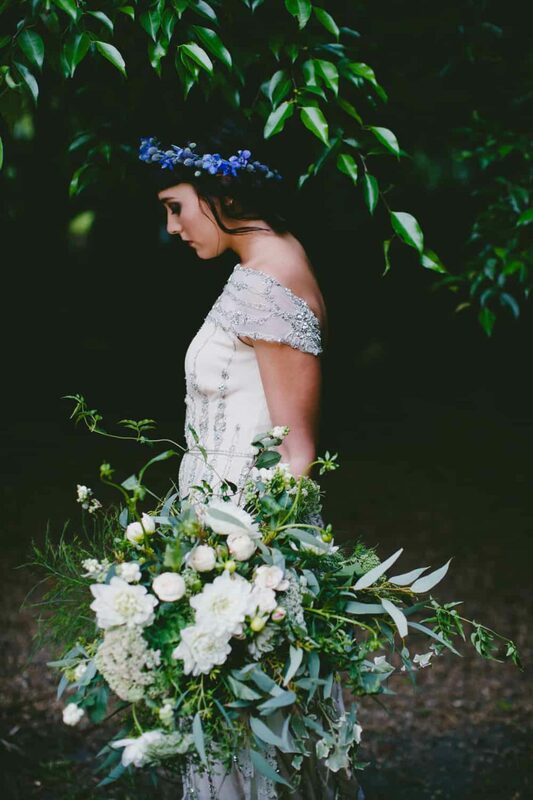 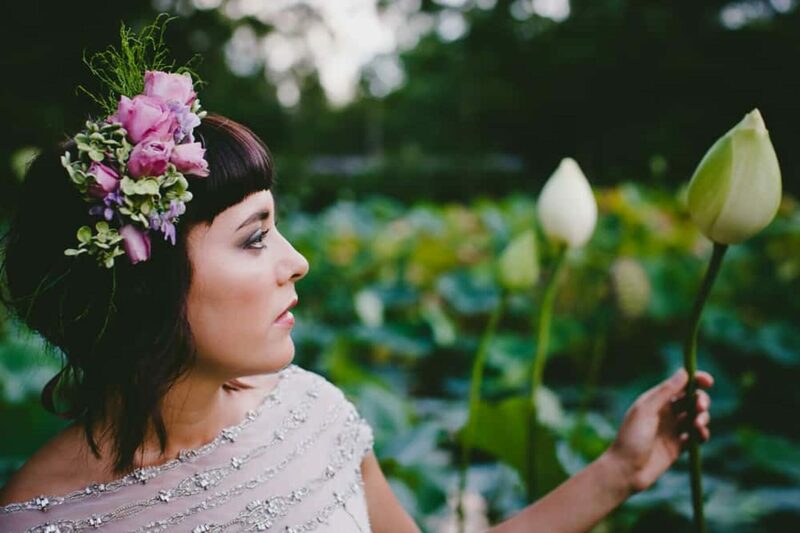 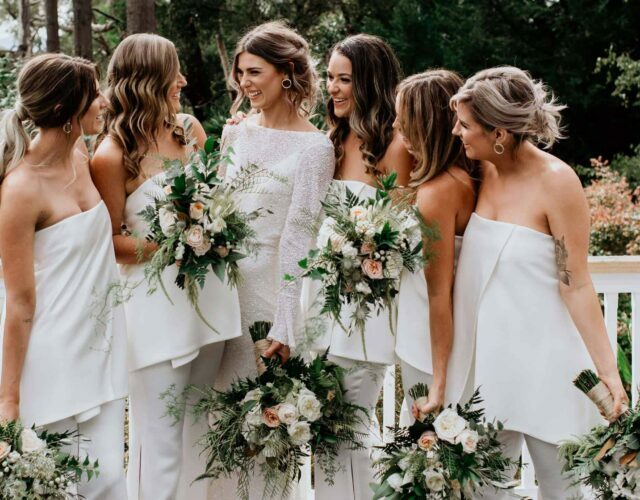 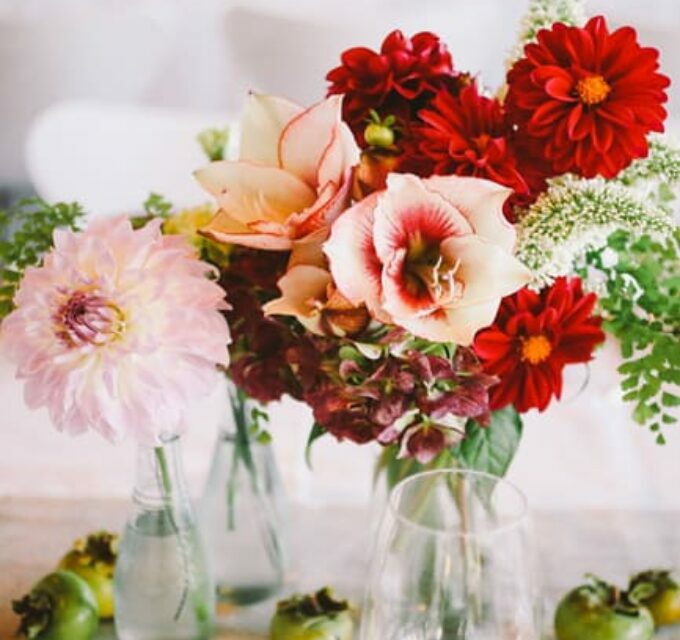 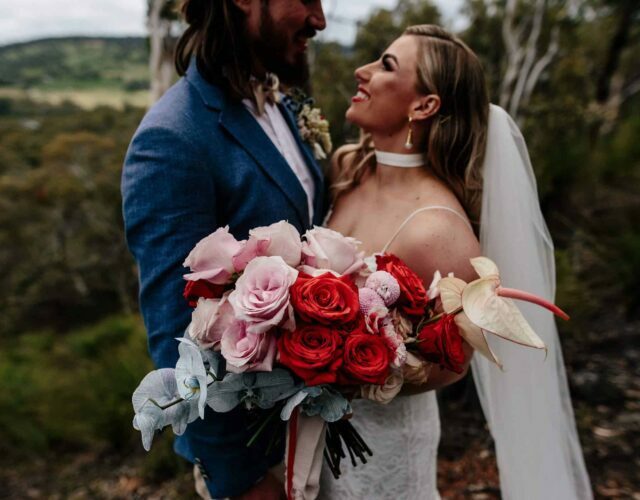 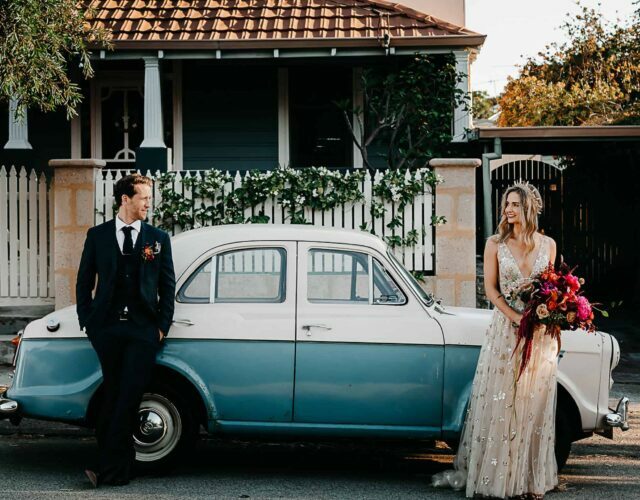 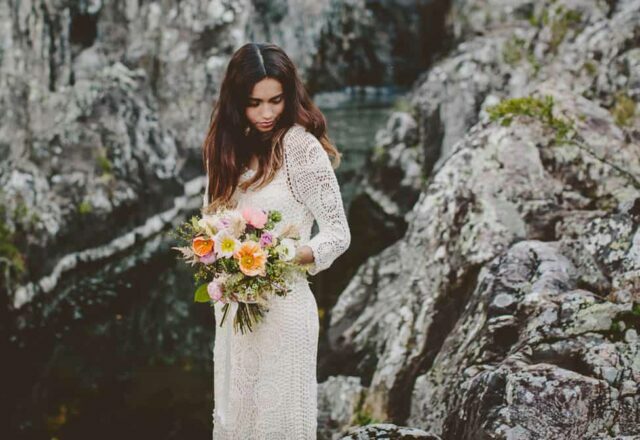 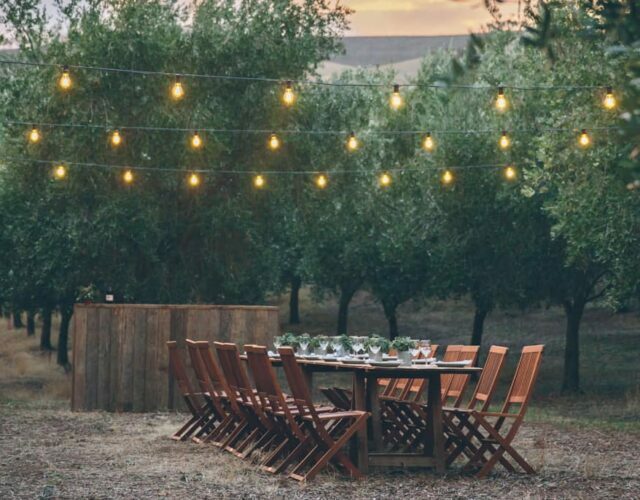 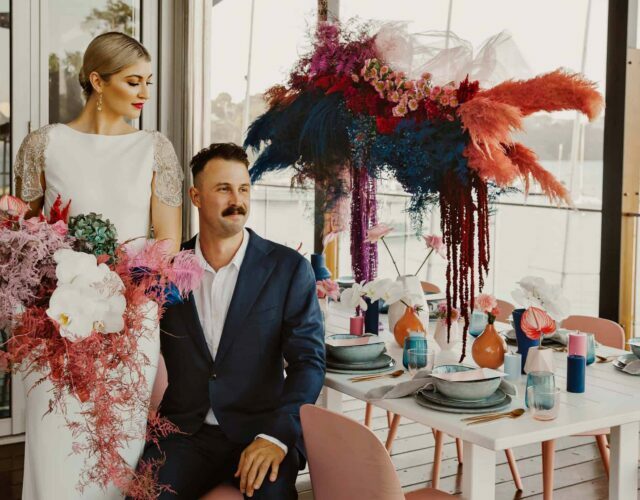 Heavenly Blooms’ latest styled shoot – a collaboration with Sunny Coast photographer Bonnie Jenkins – is utterly enchanting. 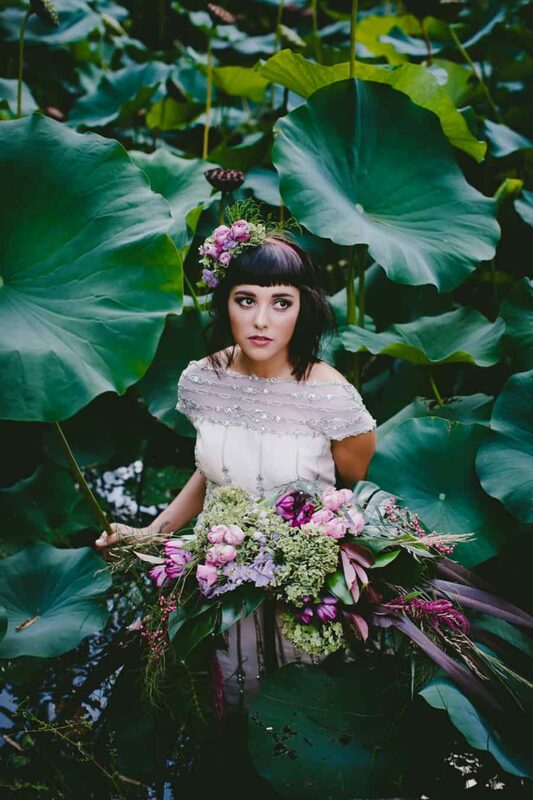 Channeling a fusion of The Secret Garden and Alice in Wonderland, muse Amber Mitchell is every bit the fairytale bride in this magical editorial. 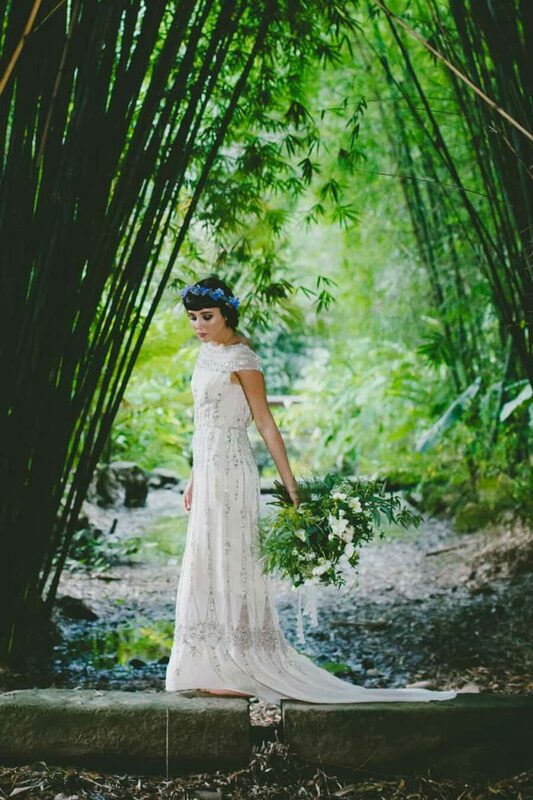 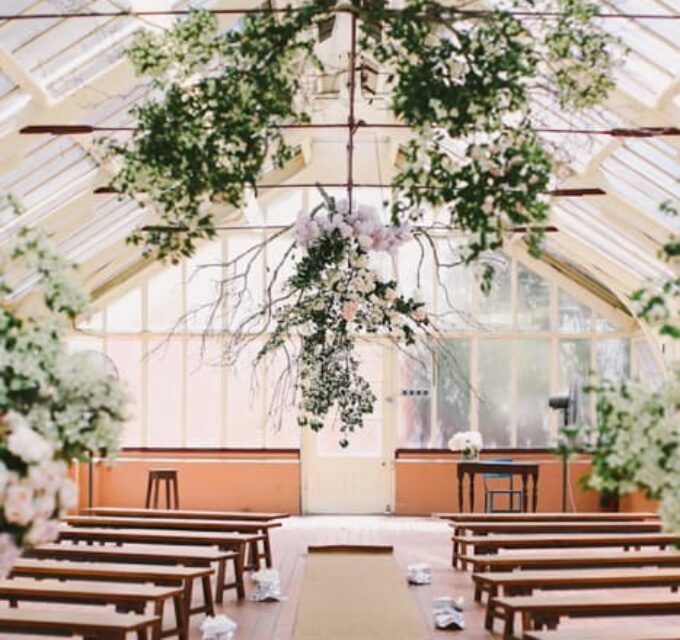 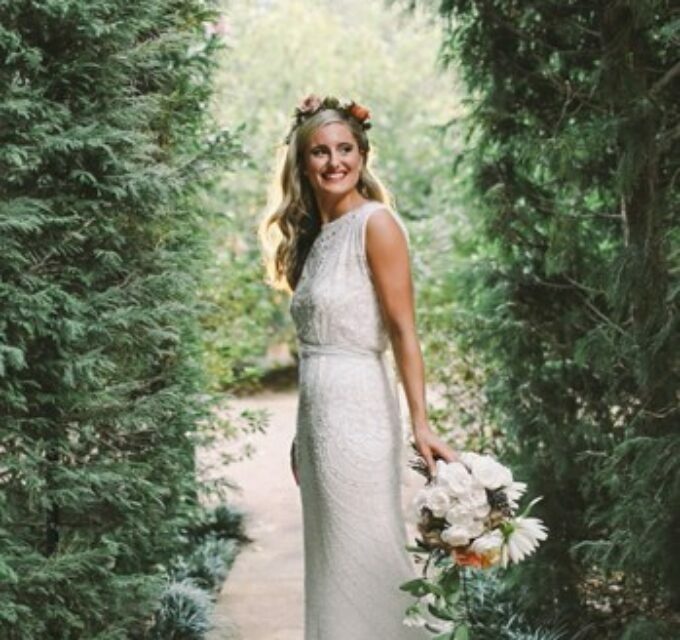 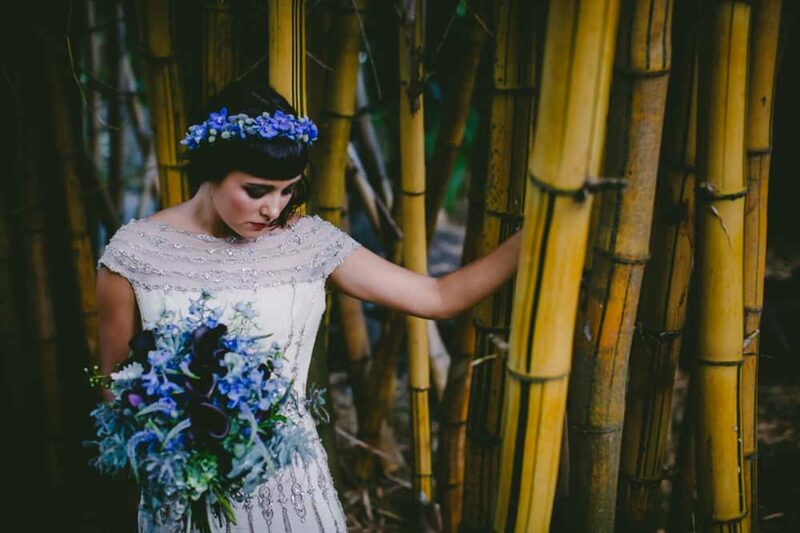 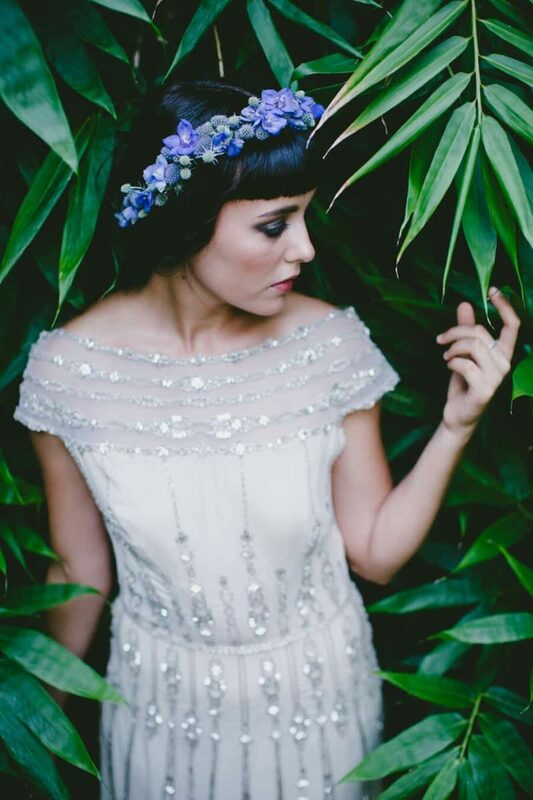 Shot in a rainforest-like garden wearing an intricately beaded Gwendolynne gown, this bride is almost nymph-like, surrounded by lush, towering plants, bamboo and creeping vines. 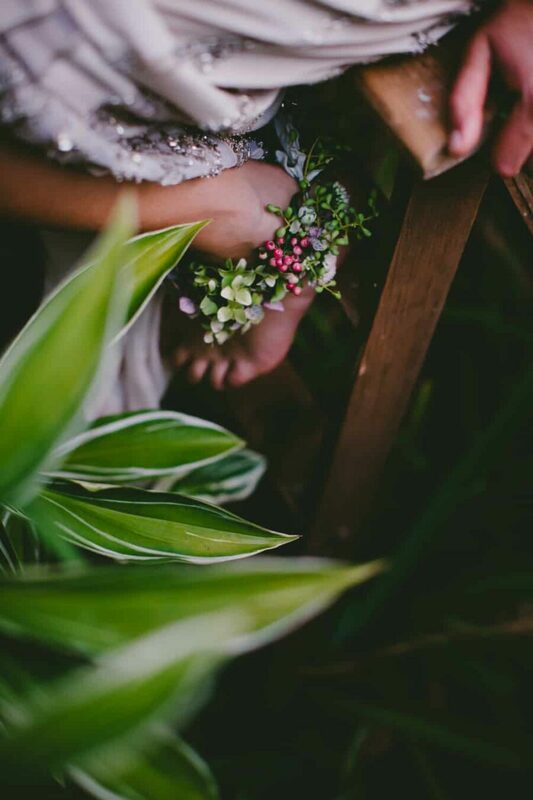 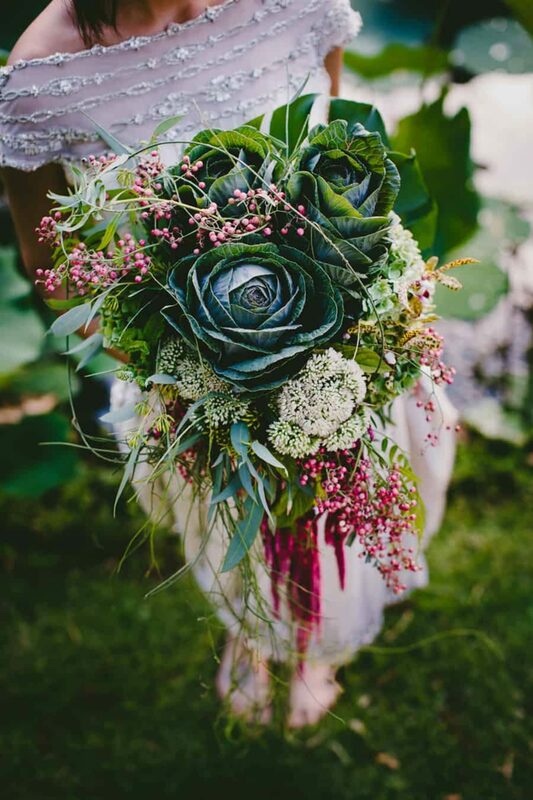 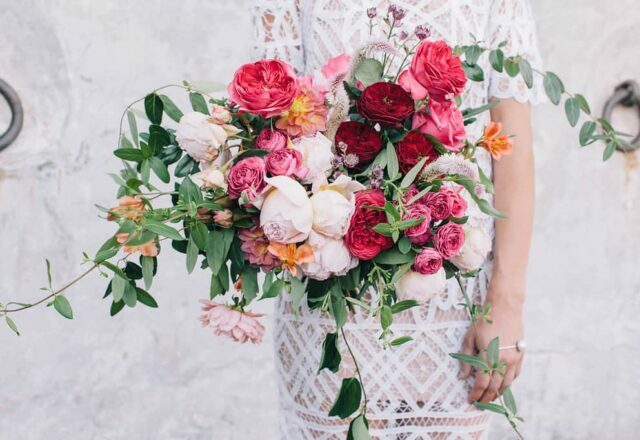 With confectionery colouring and a manner of exotic looking blooms, the sustainably designed bouquets, flowers crowns and ankle arrangements (by Heavenly Blooms) are both unstructured and carefully considered, an array of roses, pink peppercorns, purple orchids and powdery green foliage. 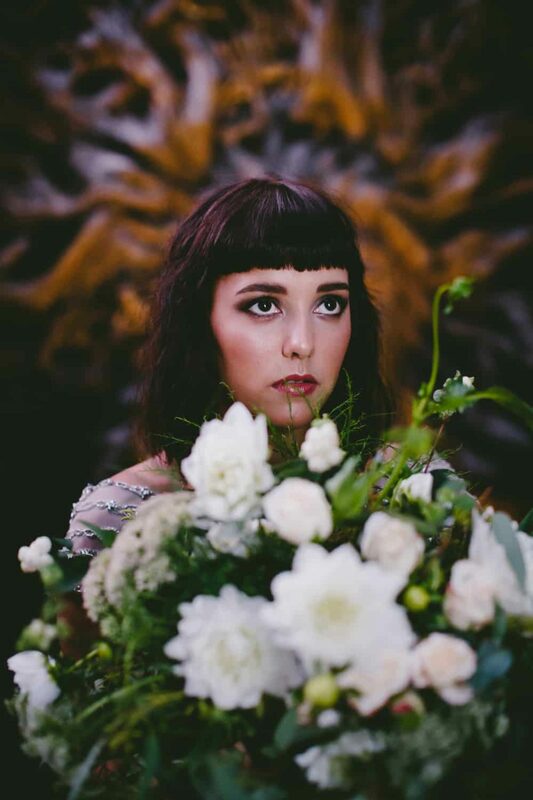 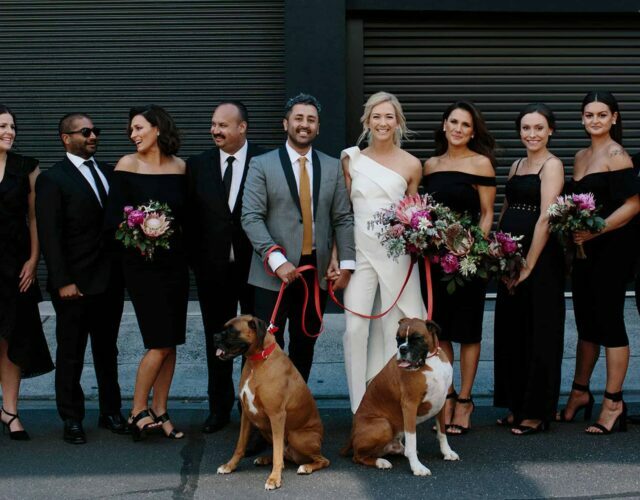 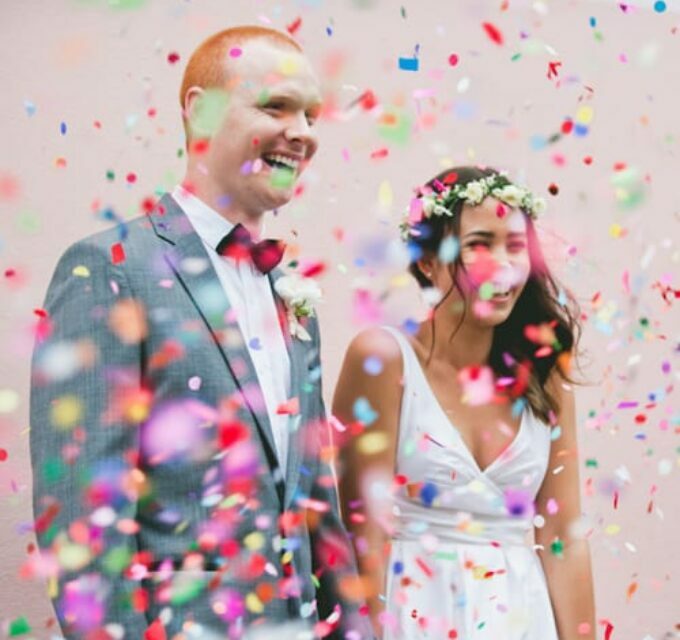 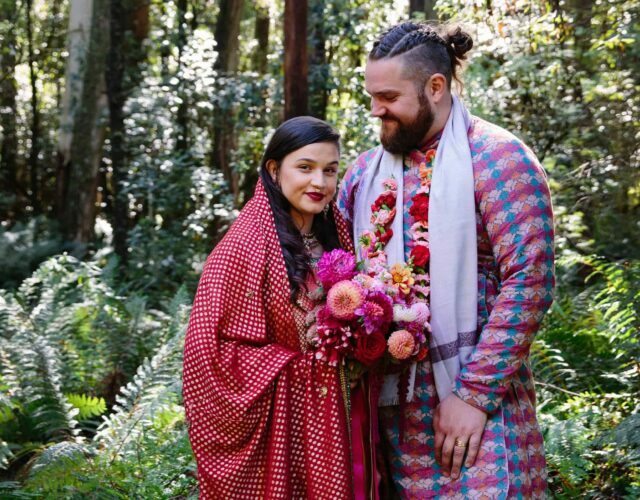 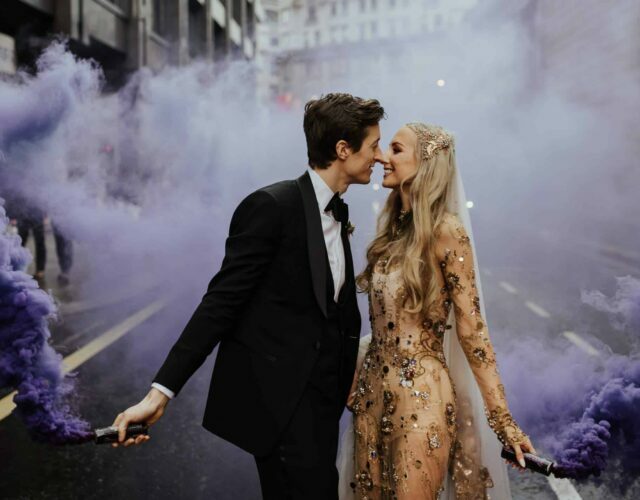 Makeup artist Tasleema Nigh worked her own brand of magic, creating a doe-eyed smokey eye, a subtle lip and a fresh faced glow, while The Foxx and Dandelion had the bride’s hair looking fab. 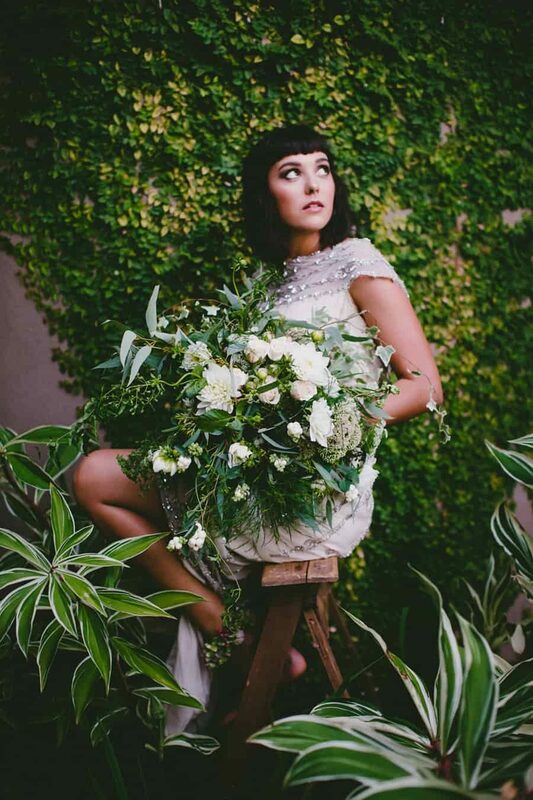 This editorial perfects the balance between natural beauty and old world charm, creating a look that’s sure to end in happily ever after.